Apparently, “not returning to a regular blogging schedule” means “not blogging until people start asking if I’m okay.” Since two people have asked this week why I haven’t updated my blog, I thought I’d make an entry and let you all know I’m not dead. I’ve been devoting more time to writing, which is a good thing, I think. My husband and I just returned from a week’s vacation in Europe. My youngest daughter, Gina, is still there, enjoying a few more days without us. Don’t worry! She’s not alone, as you will see. 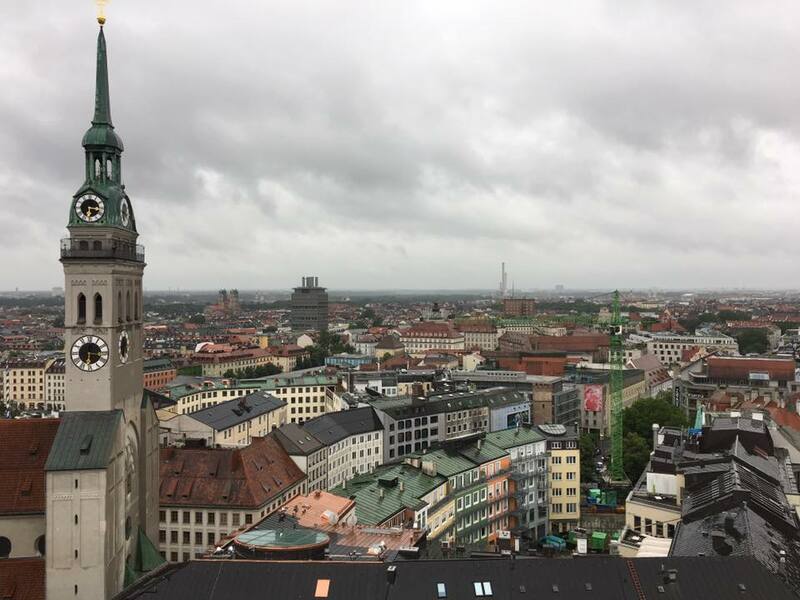 We started out in Munich, Germany. 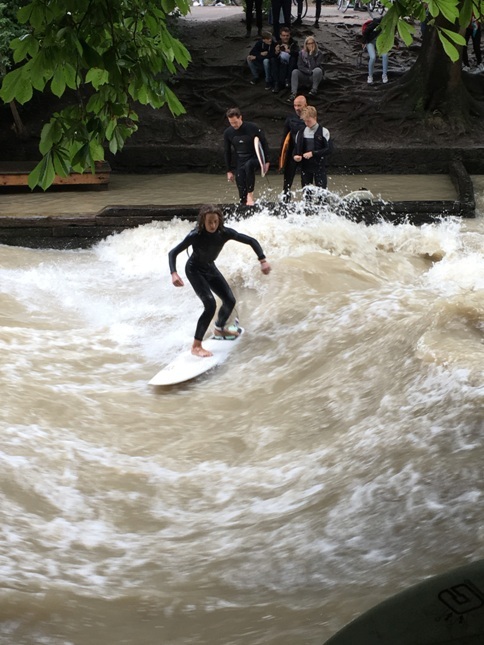 One of the most amazing sights in Munich for us were these surfers. 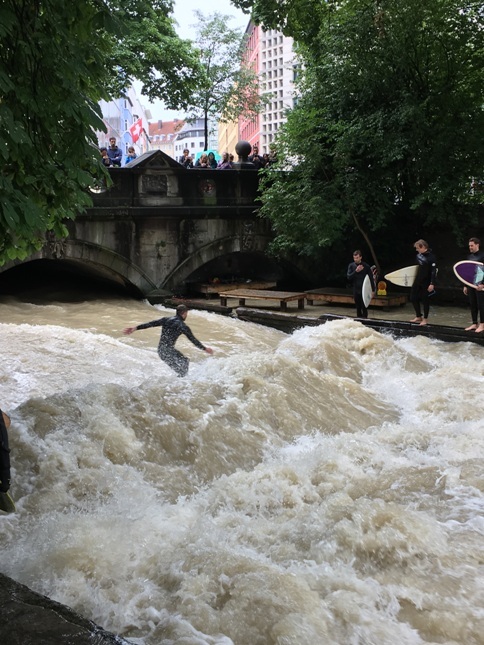 They are surfing across the width of a man-made channel under the bridge where the Englischer Garten meets the streets of Old Town Munich. If it looks dangerous, that’s because it is. 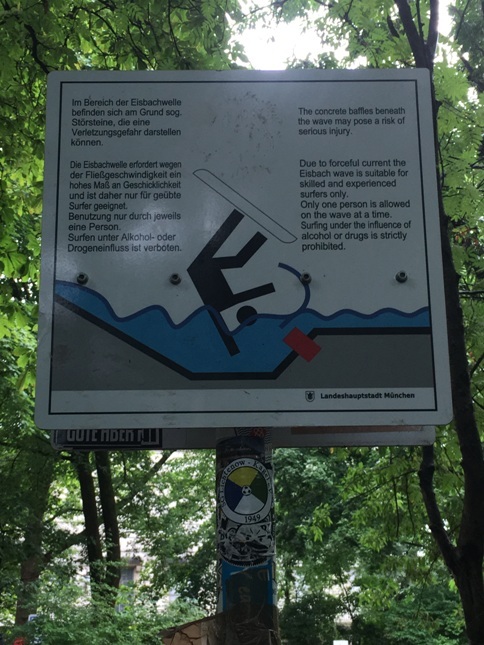 In typical German fashion, the dangers are bluntly and prominently displayed, but the activity is not forbidden by law. Do it at your own risk. 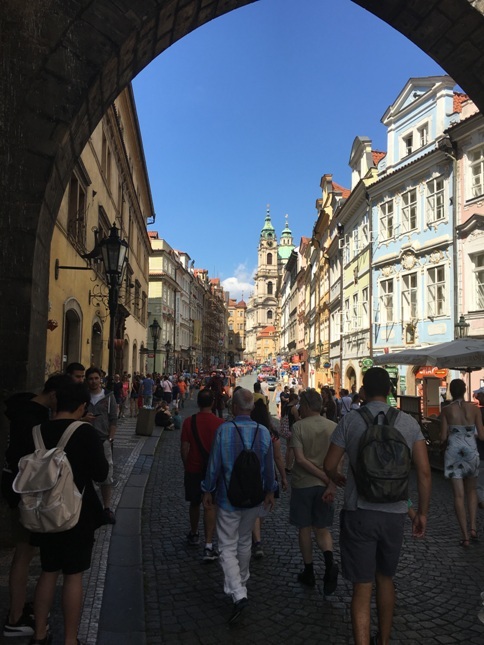 From Munich, we took the train to Prague in the Czech Republic. 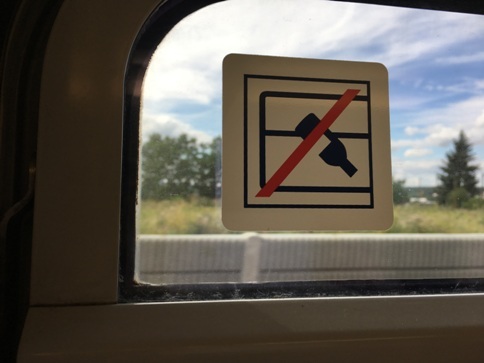 You might think it goes without saying not to throw bottles from the train window. You’d be wrong. It does need to be said, apparently. 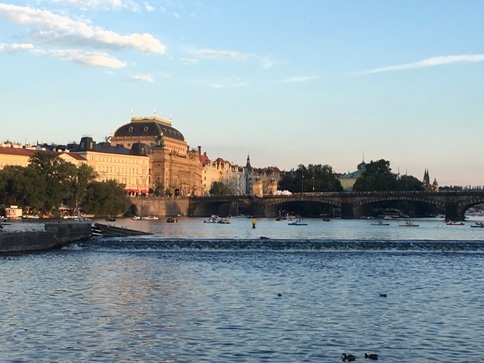 Prague is one of the most beautiful cities I’ve ever seen. These pictures don’t come close to doing it justice. I loved the ubiquitous archways and winding, cobblestones streets. 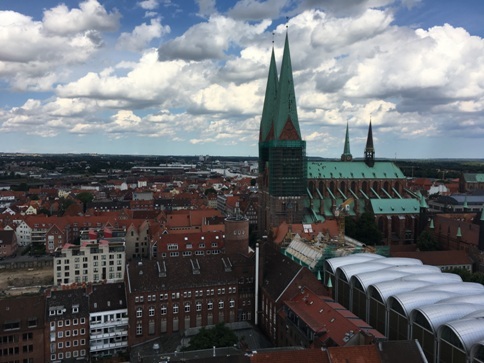 From Prague, we took another train (remembering not to throw bottles out the windows) to Lubeck, Germany. 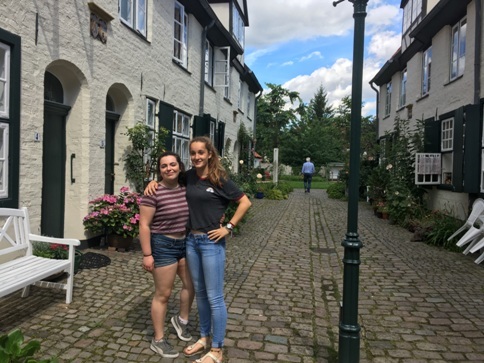 Lubeck is located in northern Germany on the Baltic Sea and is the home of Marie, the German student who lived with us for 10 months this past year. Bob and I spent a couple days there as guests of Marie’s family and left Gina to spend a few extra days with her German sister. 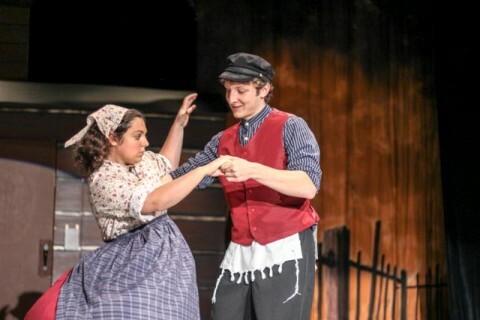 While Bob and Gina and I were exploring Europe, my older daughter, Gabbey, was holding down the fort at home and starring in a community theater production of Fiddler on the Roof. 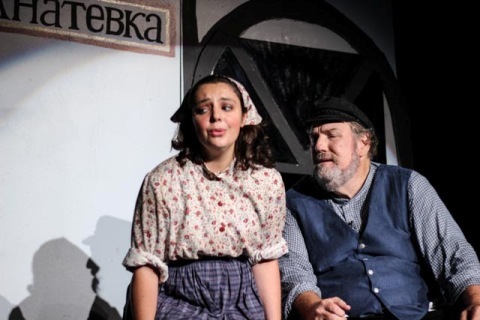 Gabbey played Hodel, the daughter who falls in love with a revolutionary. 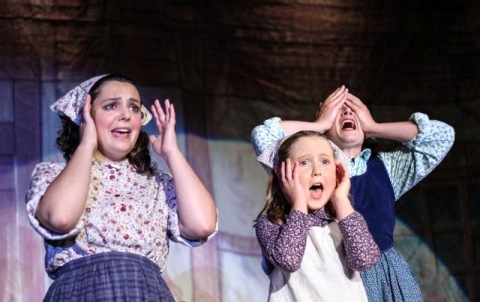 I got to see her in two of the shows before we left on her trip, and I was so very proud of her. She reduced the audience to blubbering piles of goo with her heartbreaking solo, Far From the Home I Love, when she follows her fiance to Siberia, where he is imprisoned. And that pretty much brings me up to date! I hope all my blogging friends are enjoying a summer that is relaxing or exciting, as suits your preference! I was wondering what you’ve been up to! (Because you haven’t been tweeting a whole lot either). Hope you’re having a great summer, I’m jealous of the traveling! Those pictures look amazing! Looks like a great trip. You would think it didn’t need to be said not to throw bottles, but then again, every blow dryer has a warning about not using it in the bathtub. Wow! That’s the best reason for not blogging! Sure, sure writing but the traveling–so awesome. 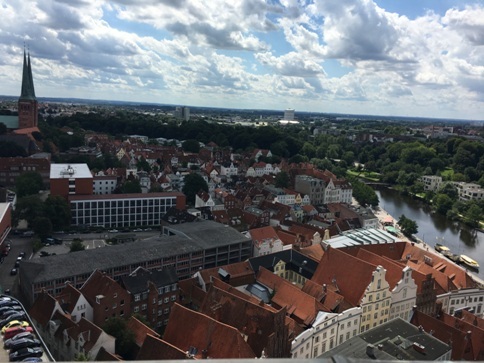 Hi Dianne – thought you’d be ‘out and about’ – wonderful the girls are ‘doing their thing’ … Gina’s trip and exchange sounds wonderful … Munich, Prague and Lubeck … hope you got to the marzipan place in Lubeck … and yes, lots to see in all three cities. Always love to see vacation pictures like this. 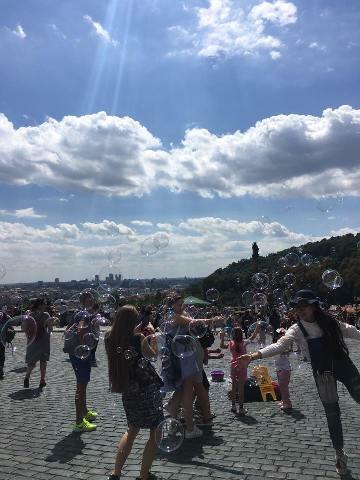 ^_^ Several writers I follow on Twitter are on the same cruise I did last year, only now they’re in Europe, and some of their pictures have been amazing. Nice pictures. I haven’t been gone from blogging as long as you, but I have been pretty lax about posting this summer. writing your story trumps all! Looks like an amazing trip. I visited Munich and some other parts of Germany back when I was 19 (my older brother lived there for 5 years). Your pictures are excellent. Can’t believe the river surfing! Looks very scary. Enjoy the rest of your summer.